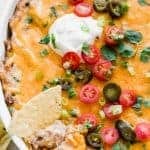 Mexican Corn Dip! 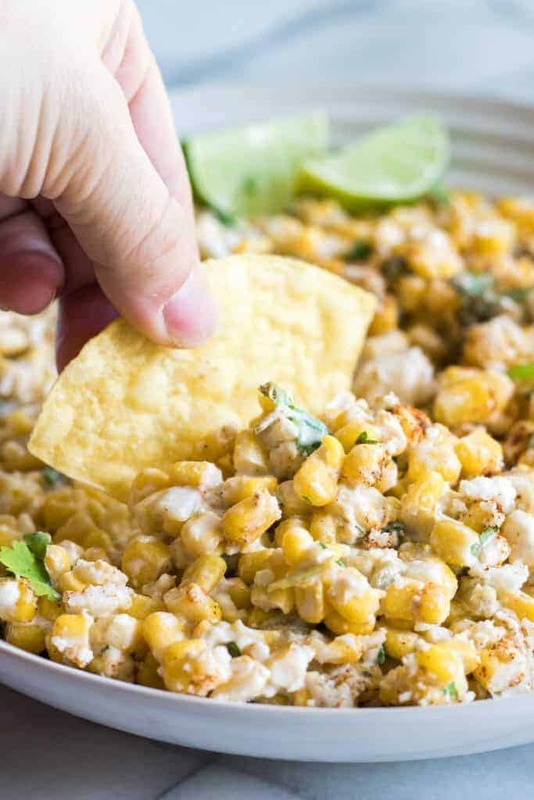 All the flavors of Mexican street corn. Perfect dip to set out for guests, bring to a potluck, or to just snack on! 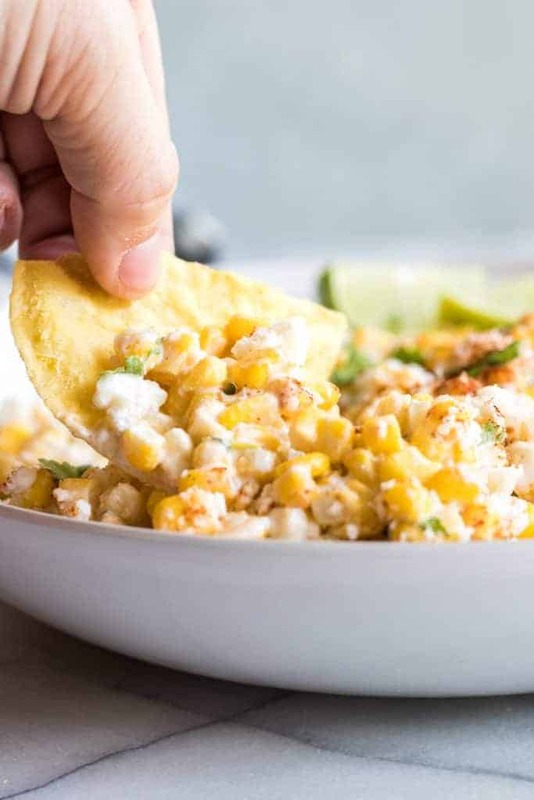 What is in Mexican Corn Dip? 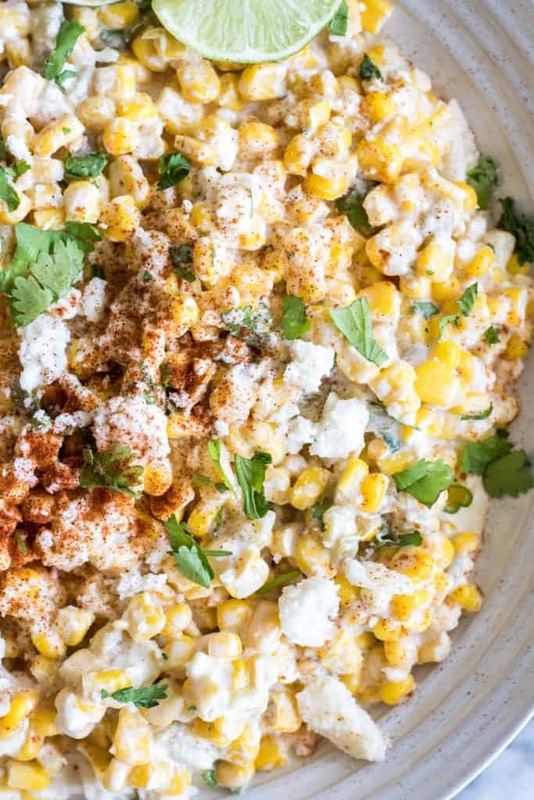 This Mexican Corn Dip has all the flavors of mexican street corn. To make this dish easier to put together, you can use canned corn. If you have the time and want to use fresh corn you can do that also. When using canned corn I prefer to use one can of whole kernel corn and one can of a spicy southwestern corn, which is corn with chiles and bell peppers. If you can’t find any at the market no worries, we add in green chiles also. 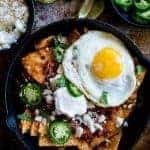 Other ingredients include mayonnaise, sour cream, queso fresco and chile powder. Dry out the corn completely. Or as much as possible. Drain the corn and once in the bowl use a paper towel to dry it off even more. Too much liquid will make the dip runny, so remove as much liquid as you can. This isn’t typically an issue when using fresh corn off the cob. Chill the dip prior to serving! And give it a stir before serving. 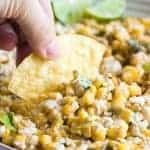 In a medium size mixing bowl add the drained cans of corn and green chiles. Using a paper towel dry them off as much as possible. 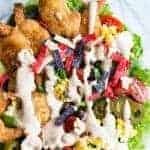 Add in the mayonnaise and sour cream stir to combine. Add in the queso fresco. Stir in the green onion and cilantro. 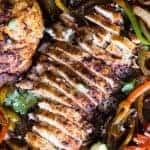 Sprinkle with a dusting of chile powder. Chill in the refrigerator for 15 minutes prior to serving. Can be made with fresh corn also. Love the addition of Sriracha in this version! I LOVE dips like this… ones that don’t survive a great party! This one is definitely going to be a winner the next time friends come over. 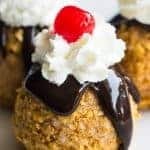 So happy you shared this with us at the link party this week, my friend! Thanks so much Gloria 🙂 hope you’re having a wonderful Monday! Haha, let’s just say the food can be the main part of football season 🙂 Dips and chips are where it is all at! Corn is my happy place and I love how you used it here! Thanks again!! I love corn 🙂 definitely a happy place for me too! Do the cans of corn need to be drained? Hi Ky 🙂 we did drain them yes! Otherwise the dip may come out slightly runny.